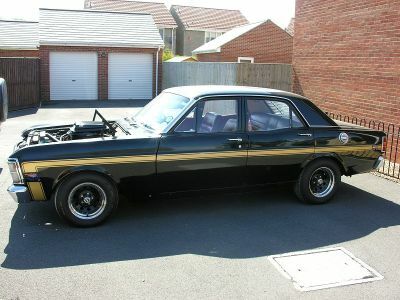 Nick H’s XW Fairmont GT is another unusual car in the Register. Why ? 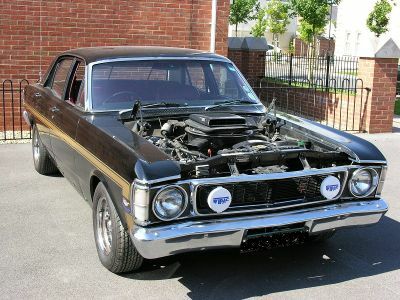 If you have had a chance to look at the GT section of the site, you will see that although the GT was based on the Fairmont it was known as a Falcon GT, whereas Nick’s car is known as a Fairmont GT. How can this be ? Because it is South African. 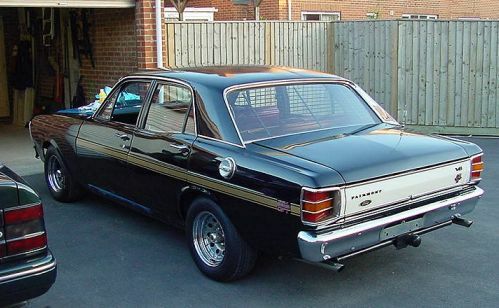 Ford in Australia shipped out ‘knocked down’ Fairmonts to Ford in South Africa where they were assembled for the local market. 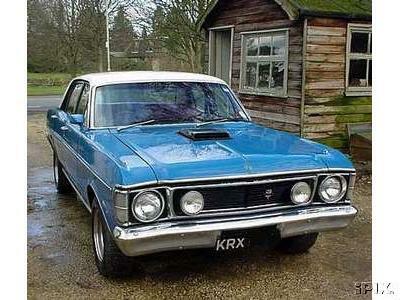 They were ‘full blown’ GTs in the same sense as the Australian cars as they had the plush Fairmont interior and. 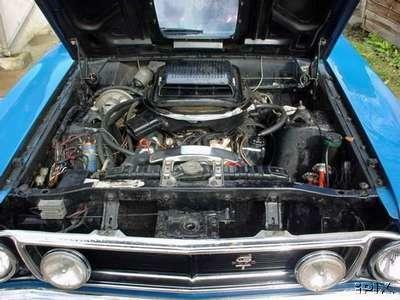 for the XW model, a 260hp version of the 351ci V8 engine equipped with a twin barrel, rather than four barrel carburettor. Both XWs and XYs were assembled in S.A. and the later XYs featured 300hp four barrel equipped V8s, just like their Australian counterparts. They were popular cars, especially with the police. 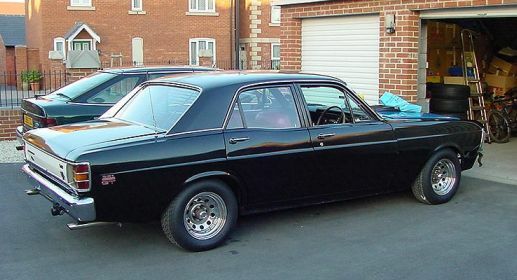 Nick’s car was brought back to the U.K. by its original owner after he retired from working out there and sold here not long after he returned. 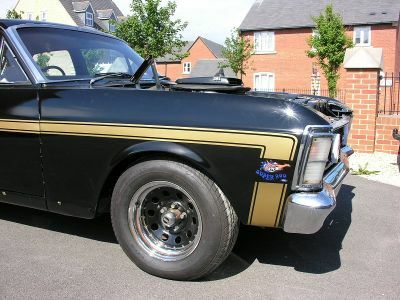 While he owned the car he decided to swap the XW bonnet for that from a wrecked XY and transferred all of the rare shaker hood scoop assembly to the engine as well. This gives the car even more uniqueness, and is a nice personalised touch from it first owner of 28 years. 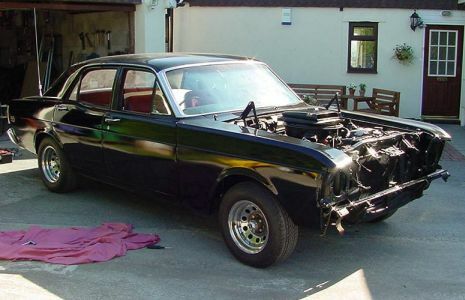 Nick is in the process of a restoration of the car. Hopefully, we can feature more pictures when it is completed. 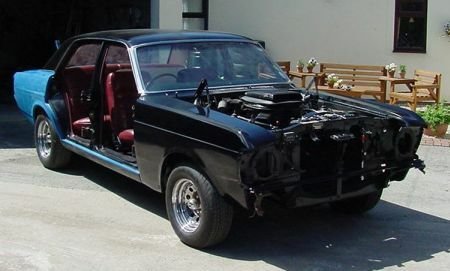 Yes, it will be black. 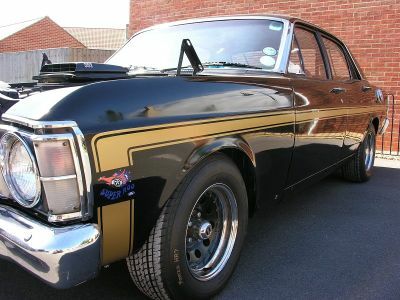 If you want some more information about the South African assembled Australian Fords, click here. 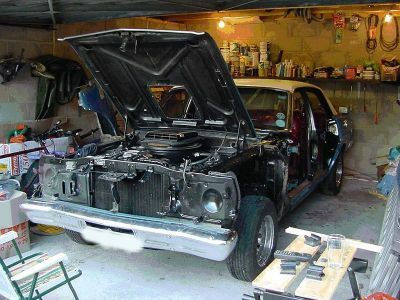 Some more pictures of Nick’s restoration, as of 6th July, 2004. Photos of Nick’s car as of 30/5/05. Almost there.